Culture | The Kremlin Of Nizhny Novgorod. The Kremlin Of Nizhny Novgorod. In 1612 Nizhny Novgorod peoples volunteer corps with Kusma Minin and Dmitry Pozharsky at the head contributed to the utter defeat of the foreign intervention. In 1812 the city gave refuge to many hundred of Moscovites who had left Moscow after Borodino battle. In 70s the city became “famous” all over the world because academician Andrey Sakharov was exiled here. And in 80s here spread the democratic movement which put forward to the government of the region young reformers with Boris Nemtsov at the head. 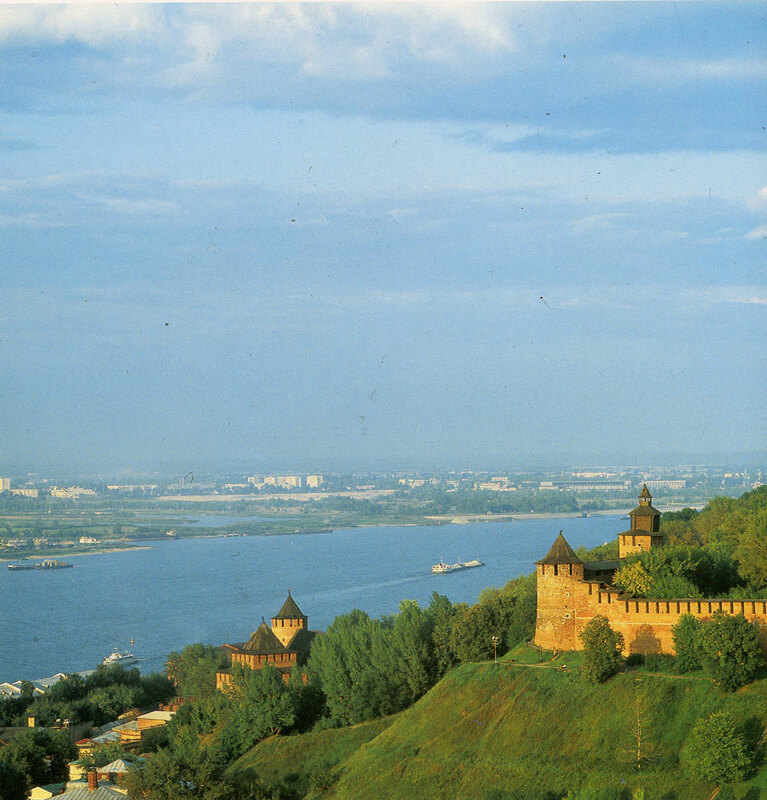 In contemporary conditions there were clearly defined the main directions in the development of Nizhny Novgorod economy: the conversion of the defence plants and scientific-research institutes, the creation of the joint enterprises with foreign partners and privatization of the state property. The successes achieved on the way to the privatization in Nizhny Novgorod draw a great interest not only in other regions of Russia, but abroad as well. Visits by Margaret Thatcher and the present prime minister of Great Britain John Major, the ambassadors of Germany, France and other countries testify to it. LJcientists of Europe and America are attracted by a great intellectual and creative potential of the city which is one of the largest scientific centres of Russia. Here there are 14 high educational establishments, several institutes belonging to the Russian Academy of Science, about 10 scientific-research institutes and project-design bureaus, carrying out works in physics, chemistry, radio-electronics and so on. recently there are appeared on the map the town of Arzamas-16 (or Sarov or Kremlev) with the Federal Nuclear Center of Russia where there had been created the first Russian Nuclear bomb. The State Bank. It was built in 1913 to the 300 anniversary of Romanov dynasty.Exhibition of military equipment. 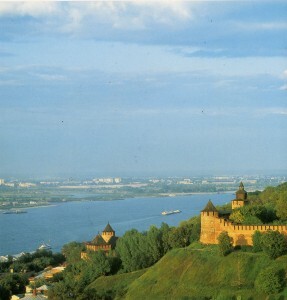 Nizhny Novgorod.